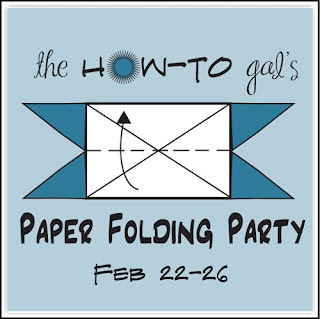 This project comes from The How-To Gal archives but is still one of my favorite projects to complete. This cute little fit-in-your-purse scrapbook is a great way to keep the kids quiet during church, an extra special gift or just a fun keepsake for yourself. The first one I ever made I filled with pictures of my Grandma & me and sent it to her for her birthday. Needless to say, she loved it! Good thing it's simple and easy. 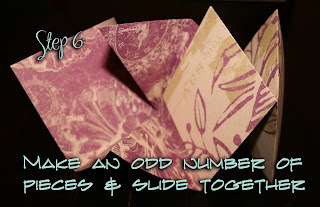 Square Paper (you can use 8 1/2 x 11 but you will need to cut each piece into a perfect square) Make sure you have an odd number of pieces. I used 5 pieces of 8 x 8 paper. Small pieces of cardboard. 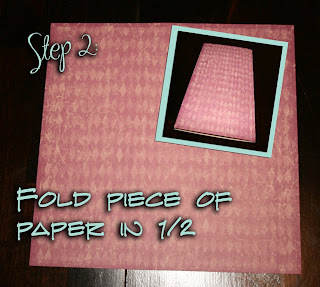 Cardboard will need to be cut 1in larger than your finished square. Ie, with my 8x8 paper my finished square was 4x4 so I cut my cardboard pieces into 5x5 squares. 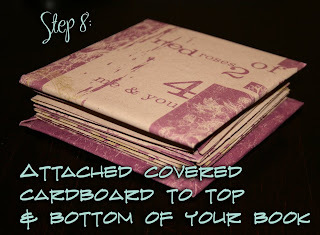 You can also cover the cardboard top and bottom with fabric. 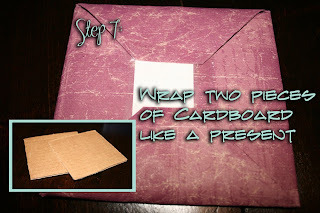 If you use this method, before wrapping, cut the corners out of your fabric and attach with fabric glue to the cardboard. Voila! You now have a beautiful keepsake to keep or give away! Ok, I have to say I've been obsessed with origami my whole life, but I've never really thought about using it for "crafty" stuff. These are some great projects so far and thanks so much for sharing! I linked to your blog from mine, hope you don't mind! I redid a pair of shoes using mod podge after I saw you do it. 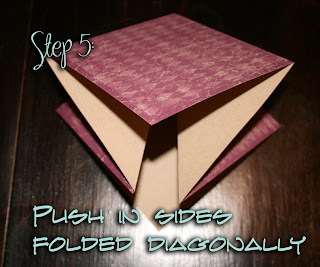 Also, I am loving these paper folding tutorials! I have purchased a lot of paper in my day and it'll be nice to do something with it besides scrapbook. I found your blog on my cousin Mari's blog. That girl whose comment is right above me. I just have to say, I'm definitely coming back!!! The shoe idea was so awesome and ditto to Mari's comment: love the tutorial. 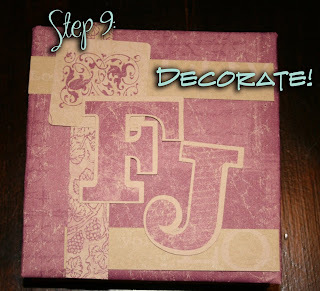 I'm so extremely artsy fartsy (um...) so it's good to know I can get my craft-fix with great ideas! You made me one for EFY one year... and I always wondered how to do it. I love it.. the only problem is, I can't seem to figure out where you would place the pictures inside? Excuse my spatial challenge....? I am totally confused about how you folded the paper. 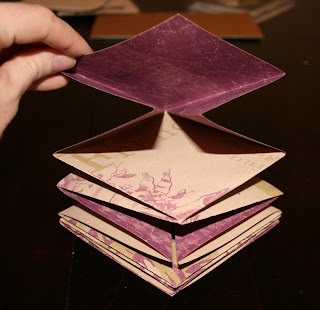 I want to make Christmas gifts and am reading your whole blog to get some great ideas and I found this book, but when you folded the paper, I am totally confused. Help!!! Folding is the easiest part, sorry my instructions are confusing! You simply fold the paper in half one way, open, and fold in half the other way. 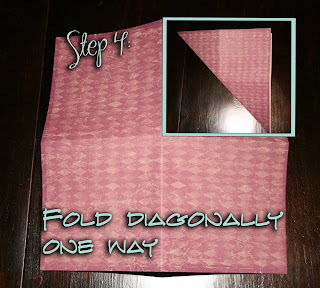 Open again and fold diagonally. 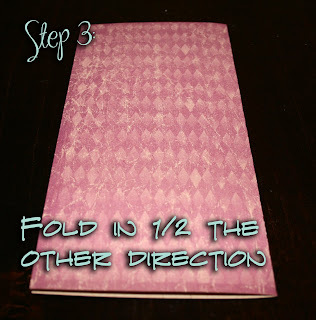 Open the paper one last time and push the diagonally folded sides in. Make sense? Try it and let me know if you need more help! It looks so interesting to try. Thank you for sharing the tutorial!